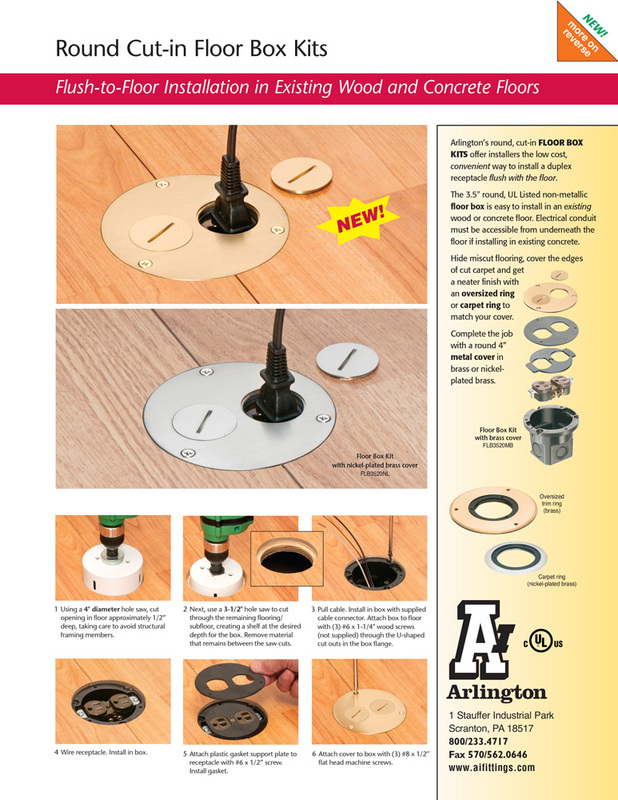 Arlington’s Round Cut-in Floor Box Kits offer a low cost, convenient way to install a duplex receptacle flush with the floor. 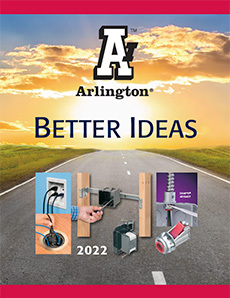 • 3.5" round UL listed non-metallic floor box, round 4"
*Electrical conduit must be accessible from underneath the floor if installing in existing concrete. that remains between the saw cuts. connector. 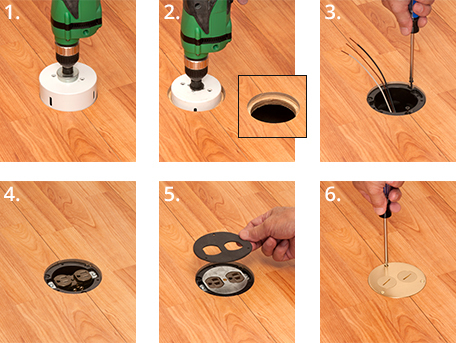 Attach box to floor with (3) #6 x 1/4"
U-shaped cut outs in the box flange. 4. Wire receptacle. Install in box. 5. 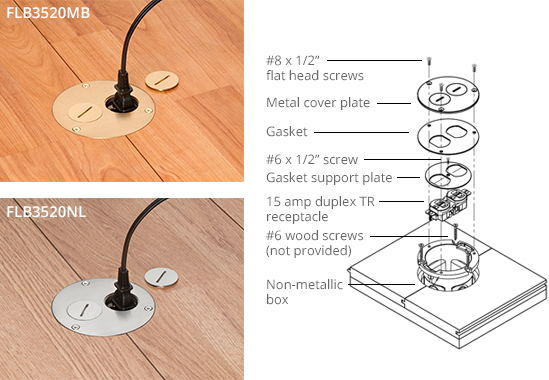 Attach plastic gasket support plate with #6 x 1/2"